This one-day workshop will provide attendees with an understanding of how Crowdfunding works and how a Crowdfunding appeal can work alongside other fundraising methods as part of their organisation’s fundraising strategy. The course will give participants guidance to enable them to put a Crowdfunding campaign together for their heritage project. Giving to Heritage is funded by the Heritage Lottery Fund under the Catalyst initiative. 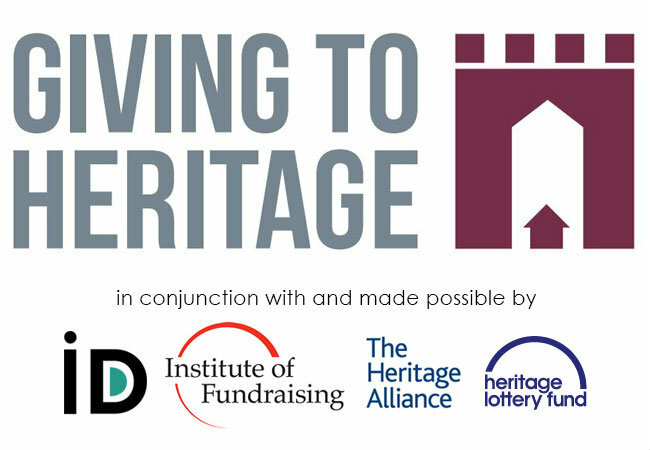 The programme is run in partnership with the Heritage Alliance and The Institute of Fundraising. Inkpen Downie have arranged for this event to be brought to Colchester to enable local people to benefit. Come along and meet others in the same situation as yourselves, share ideas, share experiences and learn along the way. Any member of staff, volunteer, committee member or trustee from a heritage organisation, community group or organisation that manages heritage assets with responsibility for developing and delivering fundraising activities for this. This is a limited place event and places will be allocated on a first come, first served basis.